AXIS Companion | Valley Tel Service, Inc.
Are you the owner of a small business who want to protect your staff, assets and premises? AXIS Companion is a professional solution developed with small businesses in mind, making sure it’s quality you can rely on but doesn’t require a huge budget. AXIS Companion is a solution built around a software which allows you to view live or recorded video locally or remotely and even on the move. 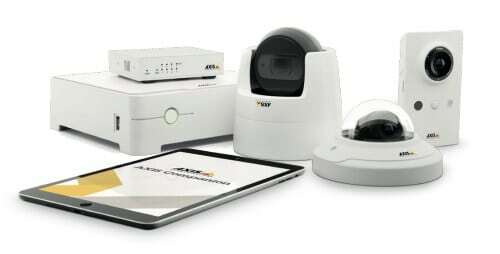 Dedicated network cameras record video that can be stored on a recorder or SD card, depending on your needs. The video can easily be shared. This solution works both for single and multiple locations, and it scales to match your changing business needs.